Has the painted surface of your vehicle been damaged in an accident? Has normal wear over time given your car a dull, rusted look? It's time you visited an auto paint shop to have your vehicle's paint restored to its original finish and gloss. Head to Parkland Autobody for the finest car painting services available in the Parkland, WA area! Since 1962, our auto paint shop has been handling paint repair and repainting jobs for collision-damaged vehicles. We also offer custom auto painting services to give vehicles a new color and look. 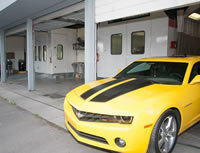 Our facility is equipped for any big or small car painting job. From minor scratch repair on a domestic car to applying a fresh coat of paint on a large truck, our auto painting experts can do it all. A collision can leave a vehicle in dire need of auto body repair as well as auto body paint services. 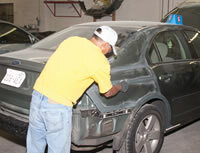 Our car painting services for Parkland residents include working on their accident-wrecked vehicles. Whether the collision damage on your vehicle consists of chipped, scratched, or rusted paint or excessive peeling, our auto paint shop will restore the lost beauty and shine of your ride. 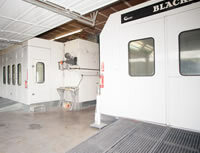 We have invested in a state-of-the-art computerized color matching system to ensure car painting that is precisely matched the existing color. Our custom auto painting work on Parkland cars and trucks also reflects excellent workmanship to provide you a unique-looking ride. Parkland Autobody is the auto paint shop Parkland residents can trust for high-quality, low-cost services. Call 253-581-0220.